McCarthy & Stone is proud to introduce Algar Court, a beautiful collection of 38 luxury one and two bedroom apartments in the heart of Penn. Our stunning development has been meticulously designed to seamlessly fit with the local architecture. Located on Penn Road, the development is within easy reach of shops, local amenities and excellent transport links. Each apartment at Algar Court is luxuriously crafted. Apartments have proven extremely popular and we have just two lovely two bedroom homes remaining. We’re incredibly proud to have been awarded a 5 star rating in customer satisfaction for thirteen consecutive years, as voted for by our homeowners via the House Builders Federation (HBF) survey. 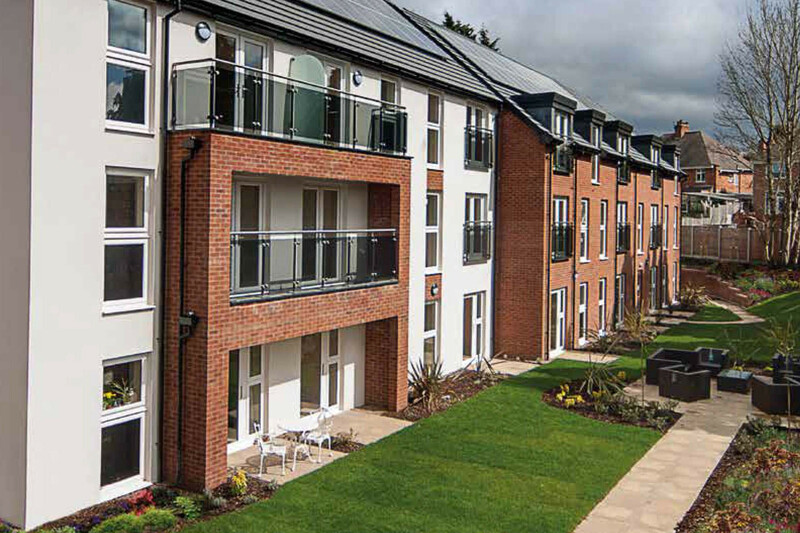 With so much attention to detail, it’s no wonder McCarthy & Stone is the UK’s leading retirement housebuilder. This is a great space where you can meet up with neighbours or make new friends. Your House Manager ensures that the lounge is always clean and tidy as well as making sure that there’s tea and coffee available for all homeowners throughout the day. In addition, availability of Wi-Fi means you can always come here to relax with your laptop or tablet. The gardens are designed to be enjoyed by everyone and as we maintain the planting for you, you can be confident that they will remain beautiful throughout the year without you having to lift a finger. When you have friends and family come to visit, the guest suite means that they can stay on-site without you having to worry about the hassle, preparation and clearing up that having house guests normally entails. The guest suite offers two single beds and an en suite shower room for a modest charge of £25 per night◊#. Just ensure you book your guests in with your House Manager in advance. Should you need assistance day or night every homeowner is issued with a pendant alarm, enabling you to summon help whenever you need it.